Noah Heringman teaches courses on the Romantic period and on poetry, aesthetic theory, and the cultural history of science. 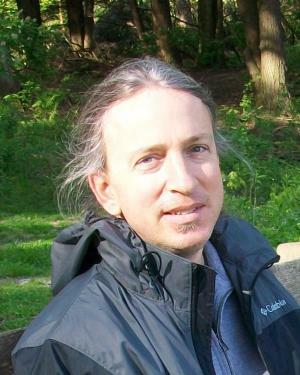 His publications include Romantic Rocks, Aesthetic Geology (Cornell University Press, 2004); an edited volume, Romantic Science: The Literary Forms of Natural History (SUNY Press, 2003); and essays in Representations, Studies in Romanticism, SEL: Studies in English Literature 1500-1900, and other journals, as well as numerous book chapters. Heringman's latest book, Sciences of Antiquity: Romantic Antiquarianism, Natural History, and Knowledge Work, was published in 2013 by Oxford University Press. Romantic Antiquarianism, a volume co-edited with Crystal B. Lake, appeared in June 2014, and another collaborative project, a digital edition of Vetusta Monumenta (co-edited with Lake, Katharina Boehm, and Matthew Reeve), is underway. His work has been supported by year-long fellowships from the Huntington Library and from the National Humanities Center, where he spent 2014-2015 working on a new monograph project, Deep Time and the Prehistoric Turn. In 2017, Heringman and Lake received a three-year Scholarly Editions grant for Vetusta Monumenta from the National Endowment for the Humanities. “Calabrian Hounds and Roasted Ivory, or, Swerving from Anthropocentrism,” Multispecies Archaeology, ed. Suzanne Pilaar Birch (New York: Routledge, 2018), 10-25. “The Anthropocene Reads Buffon (or, Reading Like Geology),” Anthropocene Reading: Literary History in Geologic Times, ed. Tobias Menely and Jesse Oak Taylor (University Park: Penn State UP, 2017), 59-77. Also published in Hungarian as “Az antropocén Buffon-olvasata,” PRAE 19.1 (2017): 21-39. “Deep Time in the South Pacific,” Marking Time: Romanticism and Evolution, ed. Joel Faflak (Toronto: University of Toronto Press, 2017), 95-121. “Buffon’s Epoques de la Nature und die Tiefenzeit im Anthropozän,” in Romantische Klimatologie (ed. Eva Horn and Peter Schnyder), Zeitschrift für Kulturwissenschaften 7.1 (May 2016): 73-86. "Deep Time at the Dawn of the Anthropocene," Representations 129 (Winter 2015): 56-85. Romantic Antiquarianism. Coedited with Crystal B. Lake. Peer-reviewed online volume in Romantic Circles Praxis Series (University of Maryland), published June 2014. “Volcanoes, Science, and Spectacle in the Romantic Period,” Romantic Circles Gallery, ed. Theresa M. Kelley and Richard C. Sha. Exhibit Introduction and Commentaries for Plates One and Two.